Very excited about this blog! Flo and I have been plotting it for a while as today marks our first year anniversary or perhaps ‘birthday’. We should have planned a virtual party but we have been *too busy* – so you will just have to make do with these cakes. 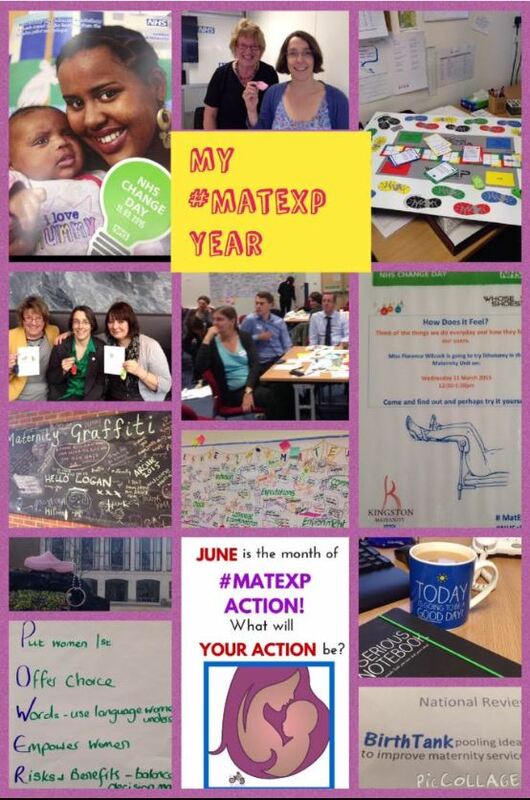 A year in the life of #MatExp OR How to build a Change Platform (accidentally)! I remember leaving the meeting absolutely buzzing about what we were about to do & delighted that Kingston was going to host the first workshop. I phoned @DawnKerslake and chatted to her as I walked home from the train station I just couldn’t help myself. We quickly set a date for October & I started to think through who needed to be there, how best to persuade the right mix of people to attend, and plan what key steps I needed to take before departing on my summer holiday. We were getting colleagues from our 5 sites to gather information from women at debriefs and on the postnatal wards, we went through our recent complaints, and we gathered ideas from Twitter. I started to look at things from all angles and think of more and more that I would like to change. We had discussions on Twitter on diverse subjects such as the purpose of ward rounds, and the analogy of a wedding reception line for #hellomynameis in theatres. Ideas bubbled up from all directions. 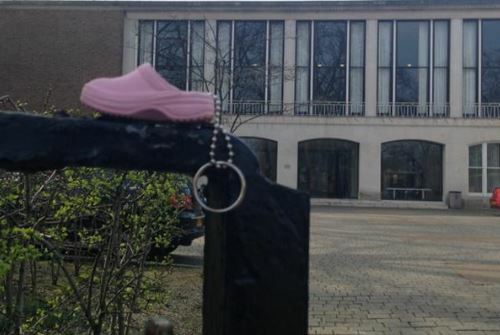 The day of our Kingston workshop dawned, I was hugely nervous, what on earth was I doing, what if it was a massive flop, what if the Kingston workshop wasn’t a success? 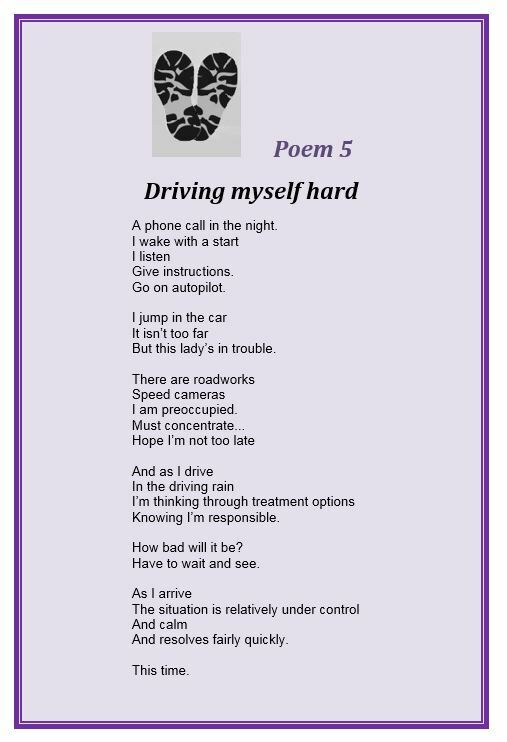 I remember swapping slides with Gill late at night the evening before , typically as often before an important day I was on call so I woke up tired, anxious but raring to go. In many ways this workshop was a defining moment for me. In the run up I had discussed with my husband if it would be professionally appropriate for me to share my own personal birth stories. I was hesitant, it would put me in a vulnerable position as a professional, I was taking a massive risk as to how my colleagues would view this but I felt it was an important part of why I was so motivated to make this project work. I stood up and spoke and as I did I felt unexpectedly emotional but also that I had set the attendees on a journey and that it had not only been the right thing to share but in many ways essential so that they saw me not just as an obstetrician or Divisional director but as a woman. The workshop was outstanding better than in my wildest dreams and the connections and actions have been fizzing along ever since. 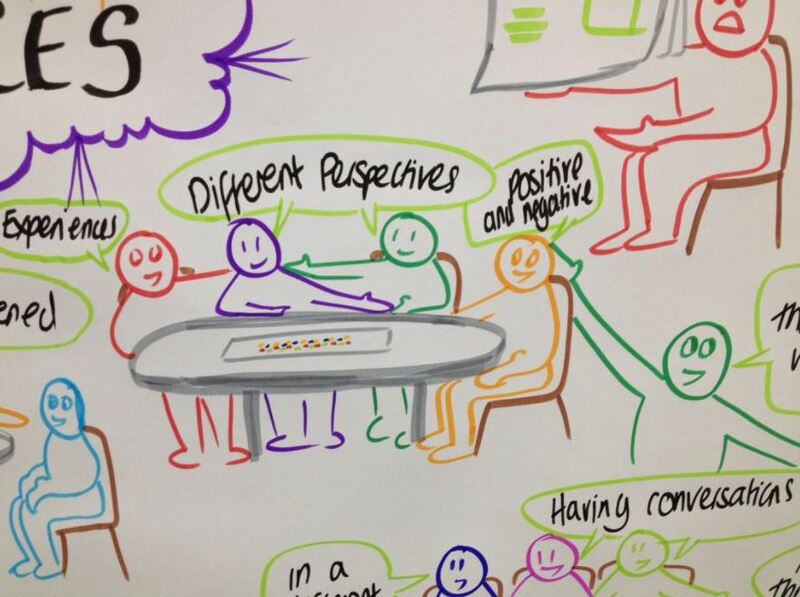 I spent the days and weeks after the workshop bumping into people and hearing about progress of their pledges. I had an invitation to the House of Commons on 5th November (of all days) at an NCT event, I still have no clue how this came about. I went alone and thought I knew no one but for the first time in my life I found people knew me before I had been introduced & there were people who had already heard of our project and wanted to be able to observe a workshop it was brilliant but somewhat strange. I was asked our aim and I realised this was in our heads rather than clearly articulated so we wrote an aim that we could use in future workshops and conversations. Lewisham were up next and we started to develop the SCN toolkit by thinking what we had learnt at Kingston what worked and what didn’t. I wrote a crib sheet for workshop leaders and telephoned Helen Knower who was leading theirs to brief her. Gill supported this workshop I peeped in via Twitter once again it seemed superb. We were by now starting to look ahead to a webinar and plan a train the facilitator event. A Cleveland style film was also being suggested in the background by Kath and the SCN team Sarah, Daryl and Michaela were diligently grafting away in the background to make these come to life. The baton passed this time to my fellow obstetrician Louise Page at West Middlesex again a phone call of tips on leading. 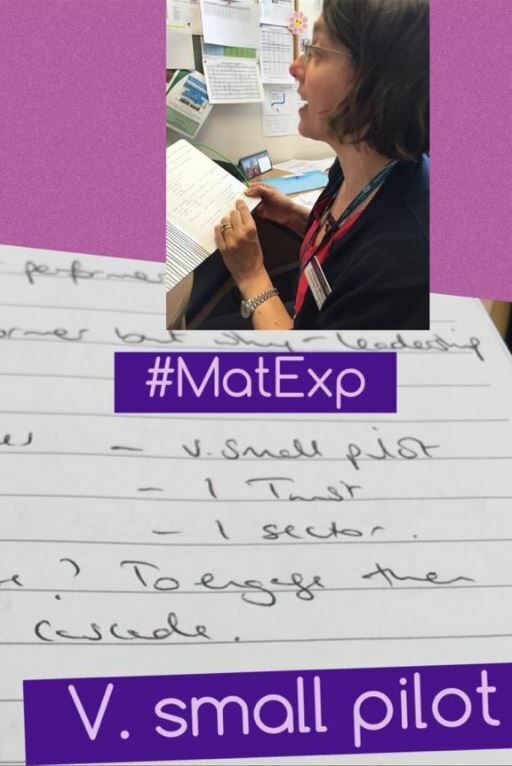 This workshop was like leaving ‘MatExp’ at the school gates neither Gill or I were there as we wanted to see how it would work in our absence as we wanted a sustainable locally led model ‘devolved leadership’. Again a resounding success even though it was held just before Christmas. 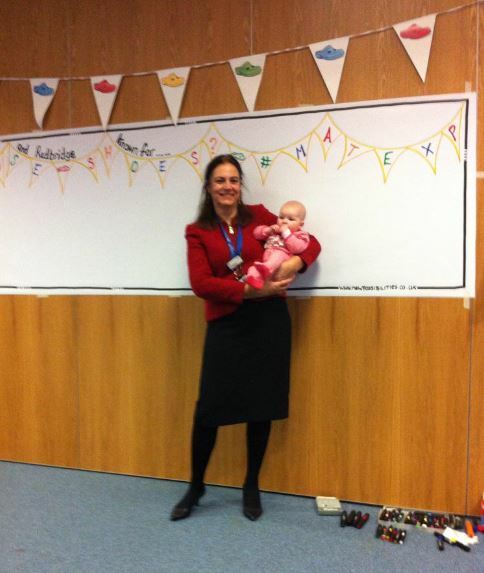 Michaela who had worked tirelessly on the SCN team went on maternity leave and had the very first #MatExp baby. On call one night I saw a tweet asking for campaign partners for NHSChangeday so without hesitation I filled in the form pinged it in with a few blank spaces and then almost immediately realised I hadn’t consulted anyone else or maximised our chances of success I had got carried away! 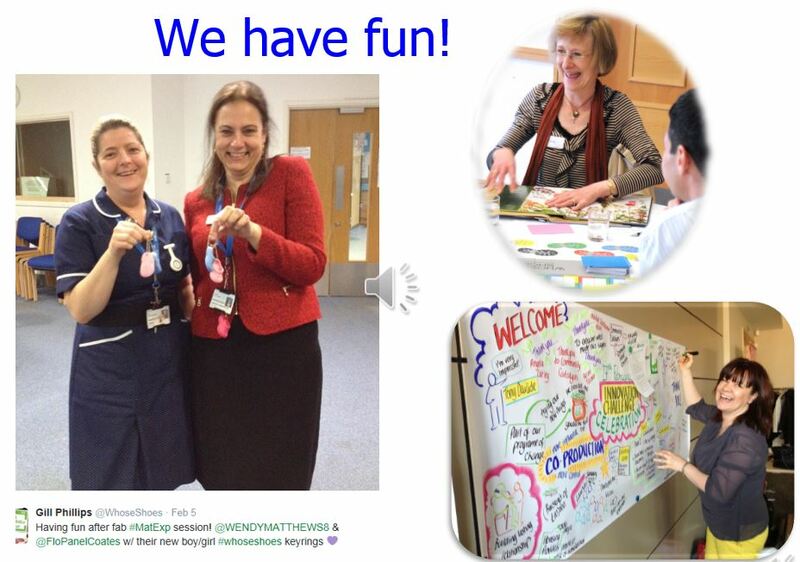 I remember exchanging tweets at New Year with Gill wondering what #MatExp could achieve in 2015. Shortly afterwards I got an exciting message from NHSChangeday saying we had been chosen to be a campaign partner. I was ecstatic I thought what an amazing opportunity to spread the word more broadly. 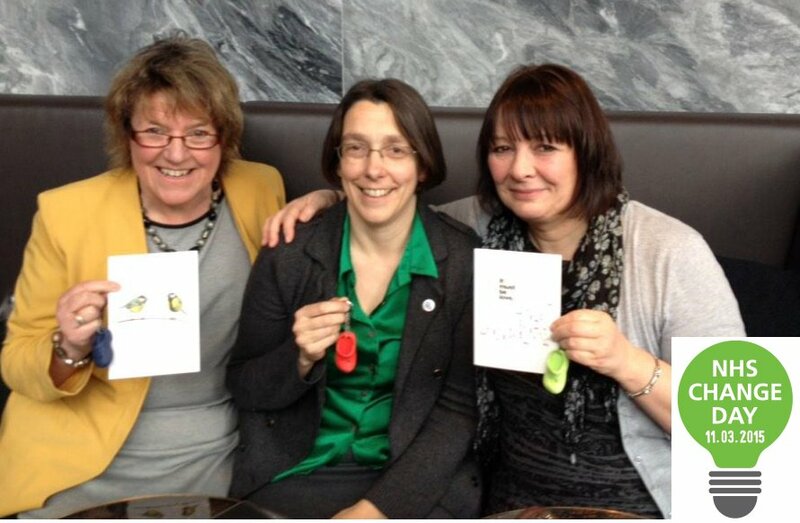 In all this time the SCN team were fantastic with meetings conference calls and planning going on furiously in the background whilst Gill and I pinged ideas back and forth with an ever increasing number of folks on Twitter. Gill and I attended a Changeday away day together and realised we hadn’t met since the Kingston workshop in October despite it feeling like we were with one another all the time. The SCN team were scoping film companies and settled on Silverfish for our Cleveland clinic style film so that we were then meeting their teams and script ideas were flowing back and forth. At some point I did a voice over recording over several hours resulting in approximately 3 secs in the film but I can’t even remember which month that was! This month kicked off with a flurry of activity. Train the facilitators a chance to describe our work and how to lead a workshop and also an opportunity for a fantastic tweet up with so many of our virtual friends who had contributed. A highlight for me was meeting @JennytheM in person despite my children’s misgivings (Mummy you should never meet someone you only know from social media BE CAREFUL). Jenny was as wonderful as expected and we exchanged all sorts of funny stories and ideas. The other highlight was meeting Helen Calvert @HeartMummy and her telling me that I had blown away her assumptions about obstetricians, I was so touched by this comment as it also illustrated to me how much #MatExp is needed. Gill and I shot the video for Changeday in the corridor at the end of the afternoon not the best quality time or place but we just had to get on and go for it! In the same week the Queens Romford workshop was held, looking back I have no idea how we ever thought holding two major events in the same week was a good idea. It was exhilarating but exhausting. Gill & I went to observe as Wendy Matthews led her team, the workshop was packed, animated and Gill had the bright idea of taking a short video which captured absolutely the energy and buzz of the day. Leigh Kendall and Carolyn Johnston both made the trip to attend which was wonderful as they had both been involved in early discussions and ideas on Twitter. 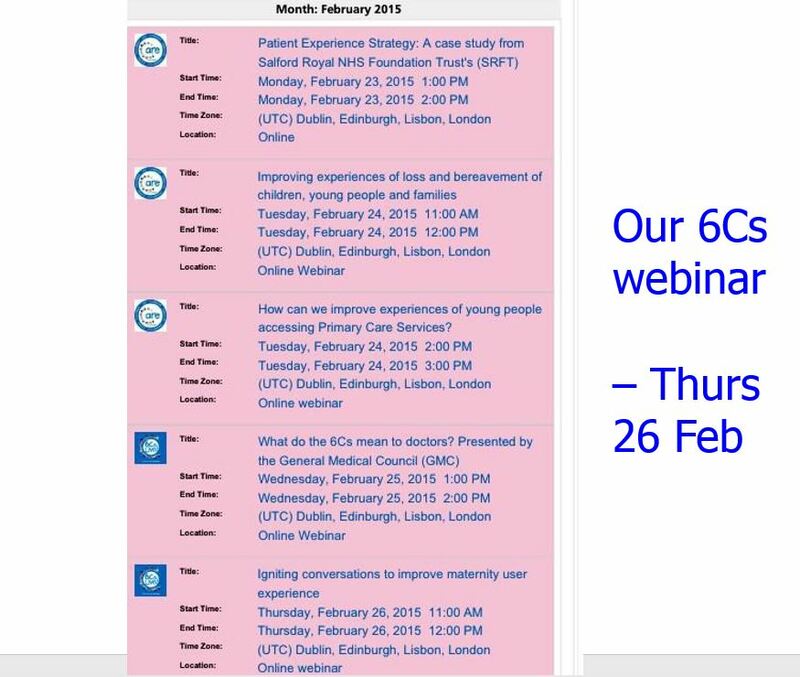 Following this frantic week we did a crowd sourced webinar for 6Cs which was chaotic, with different people presenting different slides but totally captured the essence of #MatExp. We put a few people on the spot at the last minute for which I apologise but to me it was the best way to present just how collaborative our work truly is. Oh and to end February because it hadn’t been busy enough Gill published my first and only blog 😉. 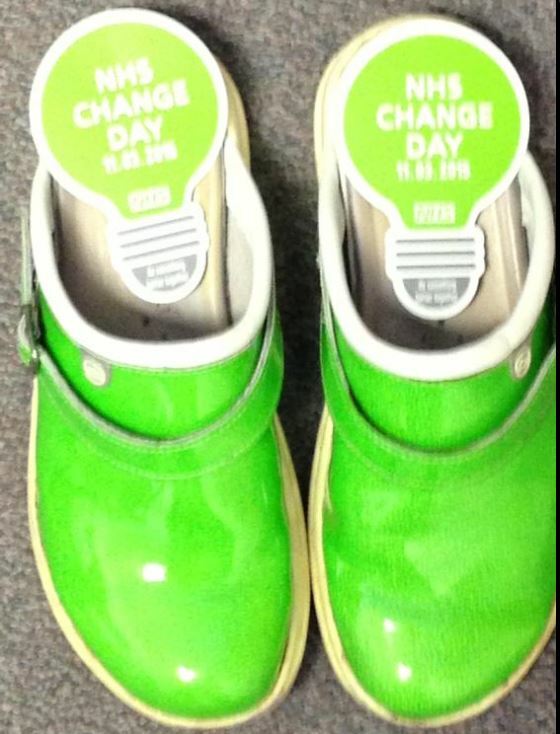 NHSchangeday was upon us. I had planned some events at Kingston and Gill offered to come & join me. Suddenly we were hosting Helen Bevan, The Edge and a film crew much to my surprise 👀. I think my colleagues at Kingston thought by now that I had totally lost the plot, there were posters on the wall announcing my lithotomy challenge and people looked at me with a slightly perplexed confused look. The day was as usual unbelievably hectic as Gill and I were also demonstrating ‘whose shoes’ to the hospital executive team as well as running an event in the antenatal clinic and doing the lithotomy challenge. I learnt far more doing my lithotomy challenge than I had imagined so immediately had to write a blog for Mother’s Day (blog no 2). With a rush of blood to the head one day I had emailed David Richmond president of the RCOG sometime previously to invite him to a workshop. 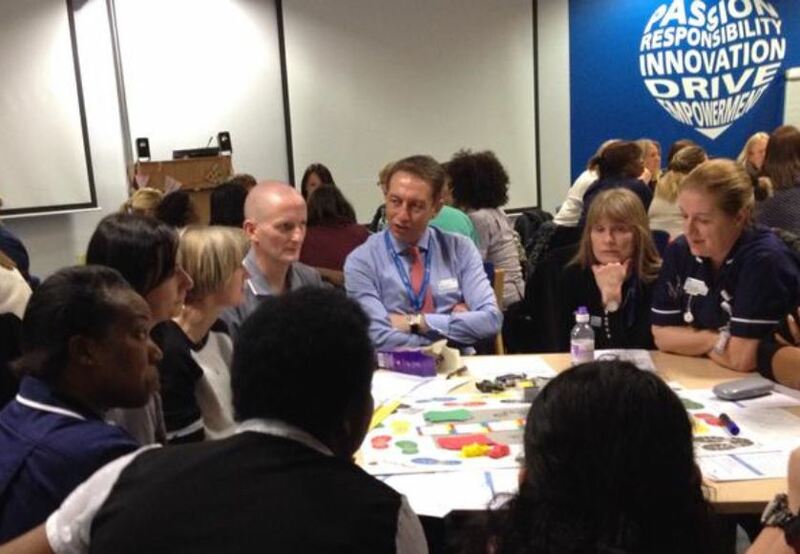 As he had been unable to attend he invited me to come and see him, so the week after Changeday I found myself in the office of the President of the RCOG laying out a board game on his table and talking nineteen to the dozen. All credit to David he listened patiently and whilst internally I was thinking ‘oh boy I’ve blown this opportunity’ we then had a very valuable discussion as he could absolutely see the value of what we were doing and said he would talk to his team about how RCOG could get involved in spreading the word and supporting us. The Whittington workshop our final pilot went ahead once again with me spying on Twitter and once again some very positive feedback and a whole multitude of actions. I co-led a mini Whose Shoes? at the South West London Maternity study day with the help of Helen Gray who did a fabulous presentation on #MatExp and MSLC and how the two link together really effectively. Poor Sarah Dunsdun came to the event but spent half her time in and out of the room phoning Silverfish with our many editorial comments on the #MatExp film. I remember talking to my husband and telling him if just one workshop were to go ahead elsewhere I would feel it had been worthwhile. I pondered how to keep the momentum going. Sometimes when one of us can’t sleep at home we do an alphabet on a particular theme in our minds. So one night I hit upon the idea of a #MatExp Alphabet. I imagined I could tweet a letter a day to share some of the key themes from the workshops, simple! I wrote myself a brief list to check I had ideas for all 26 letters and I kicked off on my return from holiday after all it would only take a few seconds a day….The alphabet rapidly became a phenomenon ideas poured in, new people jumped on board, it was so enjoyable. Gill , Sarah and I met Rupa Chivers RCM #BetterBirths and made a #MatExp video this time very professionally done. The alphabet was still racing along expanding by the day but we were getting one or two comments about being ‘all talk’ and what difference does it make? I was worried that people would start to think talking shop not action. The alphabet finished with a bang, an amazing logo spontaneously designed for us by Ken Howard, a demonstration of our roots in Gills dementia work and showing how we had captured people’s imagination. People were tweeting me asking what next and saying they would miss our daily tweets. We started to toss around a few ideas and I thought of a month of action, Helen hit on the brilliant idea of a template & selfies. A few of us were also thinking about a website and Leigh grasped the mettle JFDI and set one up in a couple of days an incredible achievement & Helen, Emma and Suzanne and others jumped in to help. At some point I forget exactly when they also set up a facebook group with an incredible response. 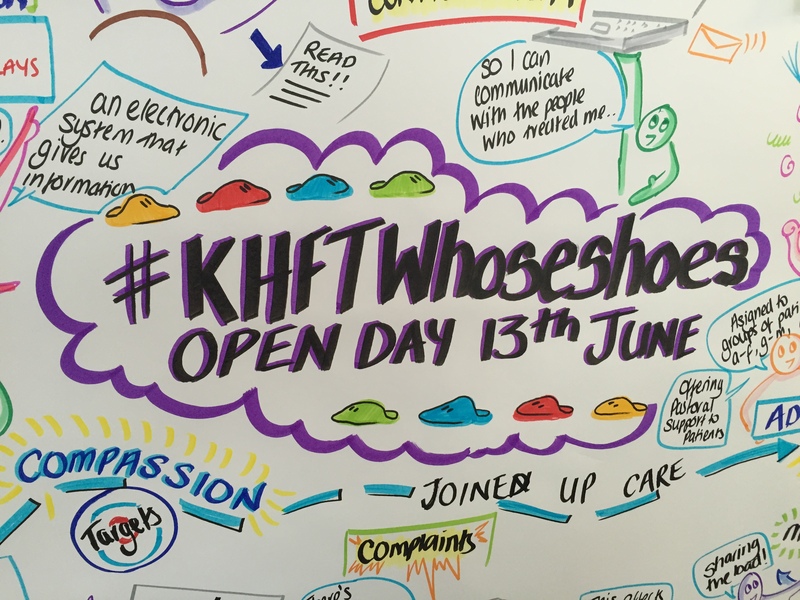 In the meantime Gill and I were planning #Khftwhoseshoes looking at how we might use ‘Whose shoes’ in other areas of Kingston Hospital. Oh and by the way ‘Do you fancy a trip to Guernsey?’ our first workshop after the pilots was being firmly planned! 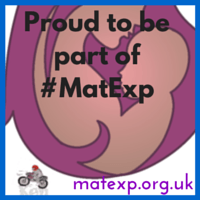 We launched matexp.org.uk our very own crowd sourced website on the 1st June and our month of action encouraging people to put words into action and make a change. Once again I was thrilled to see new people getting involved and new actions taken. We were tweeting selfies and writing blogs (not even sure how many I wrote). 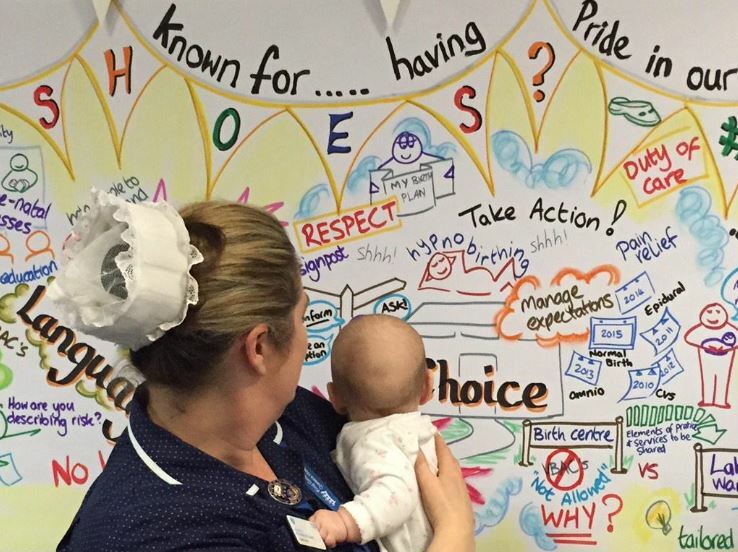 June 10th was a fantastic day we launched the ‘In their shoes’ #MatExp film at the London Maternity SCN event. Then a lead from each pilot site presented: the wealth of action that had followed the five pilots and the enthusiasm with which the teams spoke about the impact their events had had overwhelmed me (Hoping Sarah Dunsdon can provide the presentation here – sorry, we forgot to ask!). This was the first time I had seen all the actions gathered together and experienced the energy and emotion they had generated. Outstanding is the only way I can describe it and I felt unbelievably proud. It was also a very special day because Leigh and I actually managed to sit down and have a drink and a proper face to face chat after the event which was the first opportunity we had ever had to do so. 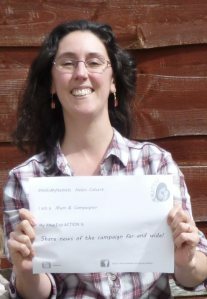 Fab Sheena Byrom had an amazing action for #Flaming June – asking people to blog about what they wanted to tell the maternity review team and providing a conduit. Such a great way of pulling together key stories and learning points. In amongst the other events of June there were too many to write about in detail ; Gill and I ran a workshop at the Kingston open day a tremendous success (Steller story here), our #Betterbirth film went live, I met Ian Currie from RCOG and Gill flew off to Guernsey and ran a stupendous workshop – here is the Steller story. We also started to receive enquiries to run workshops at a number of Trusts up and down the country. The month kicked off with a workshop at Guy’s & Thomas’s with new ideas and actions again locally led with us tweeting in support. I got a text from an O&G colleague of old saying ‘I’m at this whose shoes workshop & I swear I just heard your voice on a film’ which made me laugh. 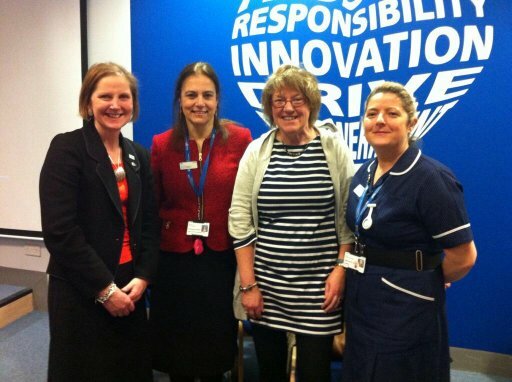 Gill and Leigh & I have just been to the excellent ‘Birth Tank’ stakeholder meeting for the National maternity review where we were able to demonstrate some of the many themes and ideas we have seen over the year to those leading the thinking about the future shape of maternity services. Leigh wrote an excellent blog and Gill compiled a very popular Steller story – in pictures! I think we ignited a few sparks and are now talking to the project team who are keen to use our collective passion and very varied expertise! Well we know we are going to NHSExpo in Manchester 2nd September hoping this is another opportunity to spread the word and also the most almighty tweet up! Oh and of course more workshops North Cumbria, Chelsea & Westminster, South East London maternity Network and more. 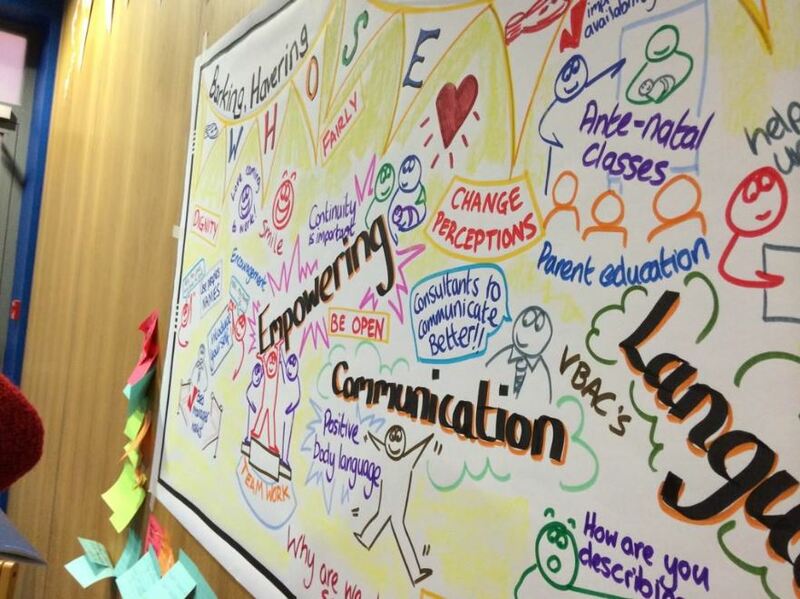 Talking to #mslc reps from @MidSussexMSLC & Croydon today about @WhoseShoes event, spreading the word! It has been an exciting year. And things feel exciting moving forward, linking up with the national maternity review team as they start their series of ‘listening events’ across the country. Find the one nearest you here! 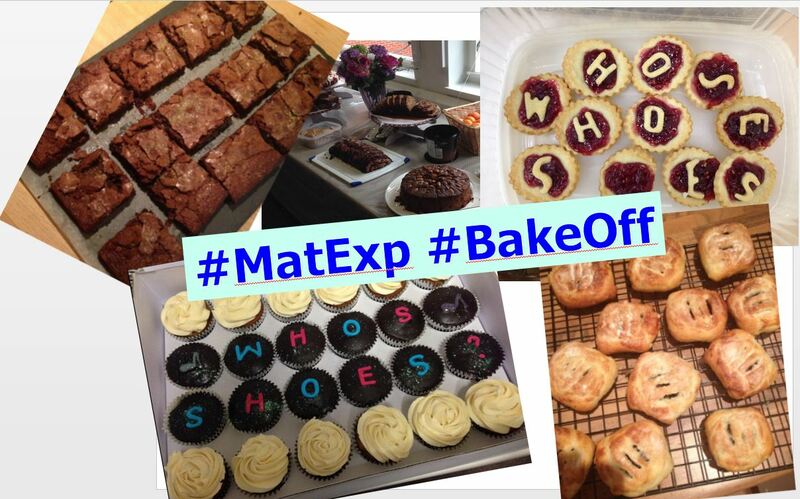 This entry was posted in Blogs, co-production, communication, community engagement, Guest blog, leadership, maternity, mental health, personalisation, well-being and tagged #MatExp, choice and control, Compassion, make a difference, maternity, maternity review, maternity review team, outcomes, Quality of life, relationships, Twitter, Whose Shoes?. Bookmark the permalink. Wow ! This is truly inspirational —reading this and ‘The Roar behind the silence’ in one week, feels like a revolution underway in maternity care, it just goes to show how a few brave people with genuine sincerity can start a movement, I’m sure this will become text book stuff about how to run a maternity service. Words can not quite capture! Massive well done, on a job more than well done. And to think this is just the start … so much excitement ahead. More families in the UK will have better births, because you chose to do act on their behalf! Thanks so much; so fab to be a teeny weeny part of the movement you’ve started! Woohoo! Thank you. Fab #teamwork! How would you feel if you had dementia? The energy is building as West Kent embraces dementia friendly communities!